I like salad. I used to have salad with main course. This tomato in sour gravy caught my attention after read from Wendy blog. It is actually perfect side dish to go with Nasi Daging Kedah. 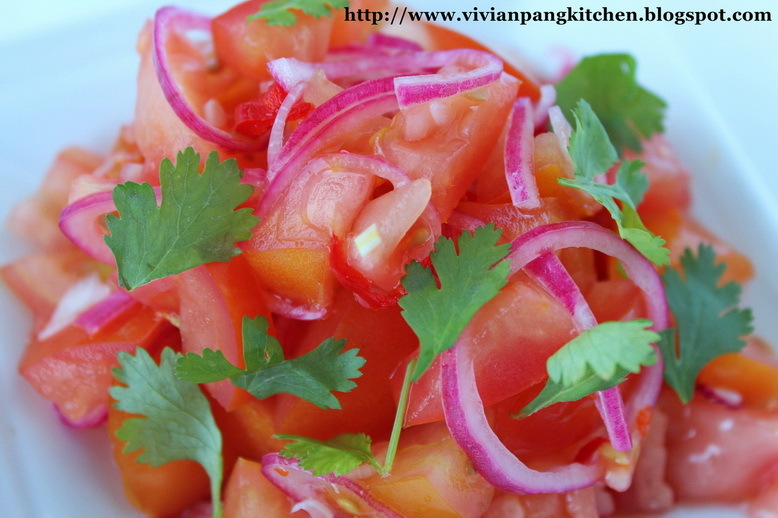 Since I do not take beef I just prepare the tomatoes salad to go with sambal ikan bilis (anchovy). It goes very well! Do try as it is really very appetite salad! 1. 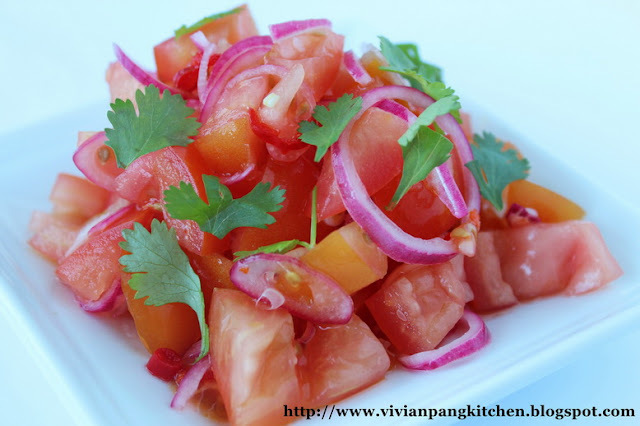 Mix sliced red onion with lime juice, sugar, salt, chilli and fish sauce. Let it sit for 1 hour. 2. Taste it and adjust with vinegar and more salt if needed. It should be sourish, spicy and a saltiness level that is just right (not oversalted). 3. Just before serving, mix in minced torch ginger and diced tomatoes. Serve! *main side dish to go with Nasi Daging Kedah (beef rice). I'm submitting this post to MFF Kedah Perlis Month hosted by Wendy, Table for Two. I think this dish will be good to pair it with grill or fried fish. So colourful! Very nice with roast chicken too.